This is a non-renewable scholarship and students are selected randomly. No application is necessary; students will be notified by the Financial Aid Office if they qualify.  The Bridge the Gap Scholarship provides financial assistance to enrolled students at Buffalo State who are unable to complete their degree due to unexpected tuition increases. These funds literally help to "bridge the gap" between what the student has been awarded and what their actual costs are to attend the college. Funding is generated by donations made by our Buffalo State's faculty and staff. In May of 1995 the fund was created in response to steadily increasing tuition rates and our commitment to aid students. Scholarships are typically awarded each semester (based on fund availability).